Robert Flitsch, S.B. 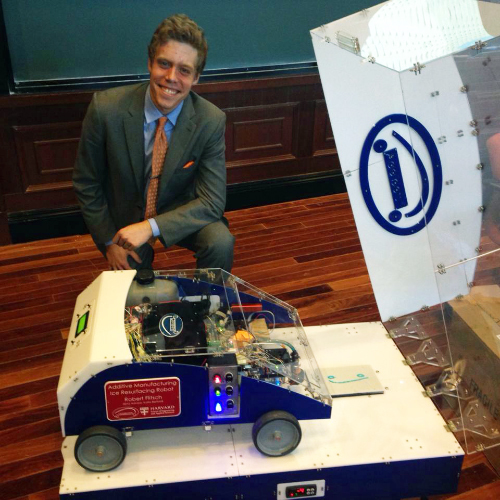 ’15, didn’t like being constrained by the boxy shape of the 3D printer he used while he was a student at the Harvard John A. Paulson School of Engineering and Applied Sciences. So this mechanical engineering concentrator developed a wheeled additive manufacturing machine that can literally run (or drive) circles around a traditional 3D printer. He recently launched a startup named Addibots (a portmanteau of additive manufacturing and robots), to develop and market his mobile 3D printing robots.